This amazing trek will take you to a site of the Oscar Nominated documentary movie “Caravan”. Dolpo is remote region of Nepal and the focal point of this area is Shey Phoksumdo National Park. The east and south of it is bordered by the Dhaulagiri and Churen Himal ranges and to the west by Jumla district. Trekking to Lower Dolpo proffers you the remarkable and worthwhile experience of lifetime. The noteworthy figure seen here are immaculate snowy peaks, ancient and isolated villages, rich wildlife, reliable Buddhist monastery and wonderful lakes. The people of this area are simple and warm-hearted with enthralling culture and traditions. 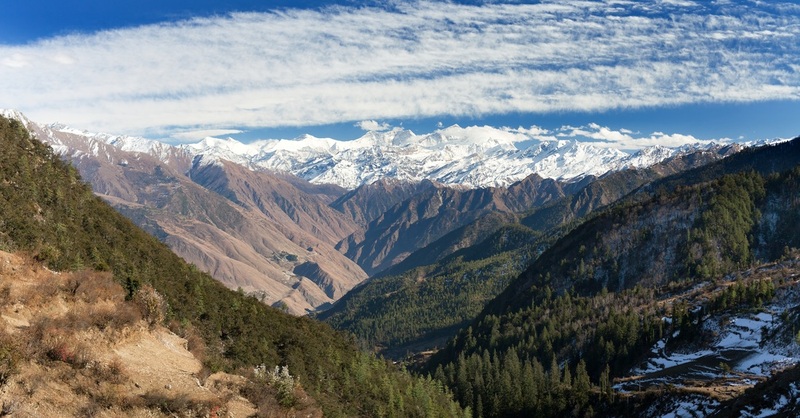 Trekking into this region gives an exposure to the High & Isolated Himalayan valleys, resembling the Tibetan highlands. The major highlight of this trek includes “Shey Phoksundo National Park” which is the largest National Park of Nepal and “Shey Phoksundo Lake” which is another prominent factor of this region. The lake is totally free of aqua life, which the crystal waters clearly explain. Surrounded by rock, forests, and snow- capped peaks, the area has been described as one of the World's “Natural Hidden Wonders”.